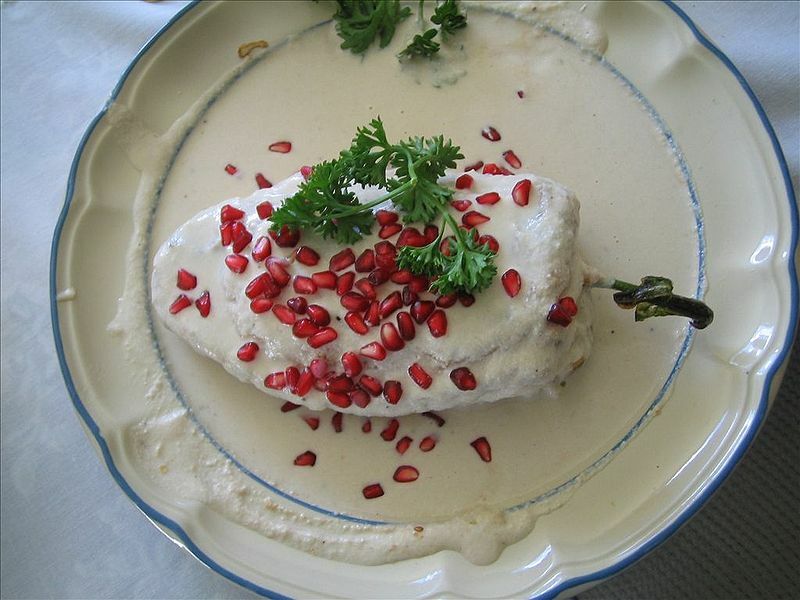 Chiles en nogada is a dish from Mexican cuisine. The name comes from the Spanish word for the walnut tree, nogal. It consists of poblano chiles filled with "picadillo" (a mixture usually containing chopped or ground meat, aromatics, fruits, and spices) topped with a walnut-based cream sauce and pomegranate seeds, giving it the three colors of the Mexican flag: green for the chili, white for the nut sauce and red for the pomegranate. The picadillo usually contains panochera apple (manzana panochera), sweet-butter pear (pera de mantequilla) and criollo peach (durazno criollo). The cream usually has milk, butter and washed nuts. The traditional season for making and eating this dish is August and first half of September. 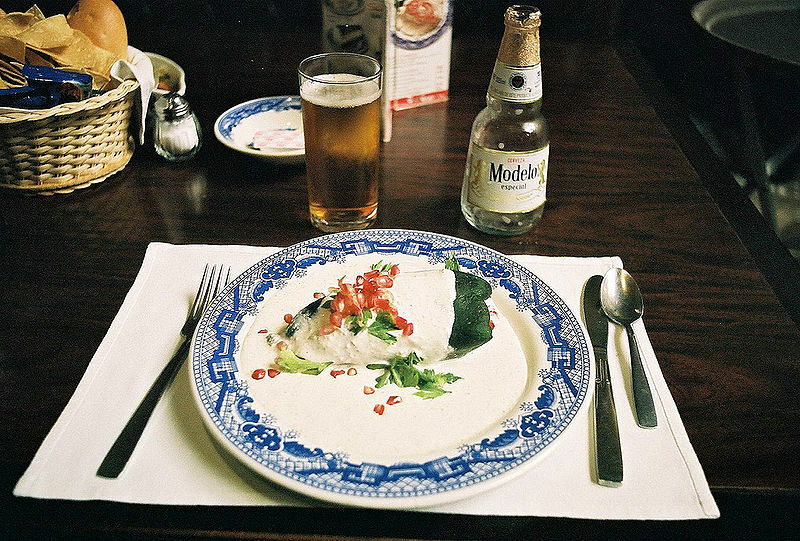 Left: Chiles en nogada with a Mexican Modelo beer.